Do you want to take your business to the next level? IndieWhip can help you create a production video that tells your brand’s vision, mission, and story. With the constant development of technology, businesses are now tapping into new, unique ways to advertise themselves. For example, social media is a very powerful tool that you can use to market your brand to billions of users. Now, the question is: How do you get people to notice you or your company online or in the media? 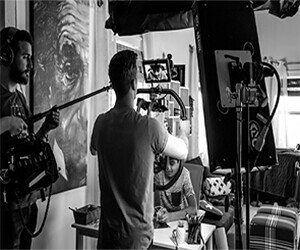 There are many ways to market your brand in the media, but perhaps, one of the most effective methods is to create a production video. With this type of marketing, you will not only attract potential customers but also engage them. Think about it. Most well-known brands use production video content to advertise their products or services. There are two ways to make a good production video. You can either opt to create a video and do all of the editing yourself or hire a professional to make your production video. Choosing the latter is more efficient. You can focus on converting the leads that production video gives you rather than thinking of ways to market your brand or company online. Read this article for more tips on enhancing your video production quality: https://blog.hubspot.com/blog/tabid/6307/bid/29075/12-tips-to-instantly-enhance-video-production-quality.aspx. If you are looking for a company that can give you a top-tier, high-converting production video, turn to IndieWhip. We are a company that specializes in creating videos designed to stimulate your audience’s sense of vision, hearing, and emotion. There may be hundreds of ways to market your brand, but when it comes to creating a cost-effective production video, IndieWhip has you covered! Check out our reel from 2017 here! By creating a good production video, you are attracting customers toward your brand. Every click, like, and share on your production video is a lead that you can potentially convert. Remember: More leads mean more potential customers who can give higher chances of conversions, and a high conversion rate means more sales. It is amazing how a short and simple production video can be your brand’s key to success. What separates us at IndieWhip from other production video companies is the way we collaborate and establish meaningful relationships with our clients. We understand that in order for a production video to work for you, it has to perfectly tell your brand’s vision and mission. We cannot just make a generic marketing-driven production video and promise you results, it is an important process. There is no one-size-fits-all strategy when it comes to marketing. That is why here at IndieWhip, we go the extra mile to foster a deep professional relationship with our clients. Together, we can create the production video that your brand needs to connect with your audience. Each production video that we curate is tailored to a specific client’s story and objectives through extensive editing and video techniques. Are you launching a new product or service? Then, you might want to consider using a production video to promote it. One problem graphic designers have: fitting in multiple pieces of information on a single picture. This often results in poor content quality, which may be unappealing to your audience. Think about it: Would you take the time to read an infographic without a narrative structure and inadequate visuals? IndieWhip can load a production video with as much information as you need without sacrificing its artistic value. It is also the reason why brands use films or video used in commercials to explain difficult concepts. It will be like you are giving them a presentation in real life without actually doing anything. Need a Production Video Done for Your Brand? Are you ready to take your brand to the next level? Then, consider production video marketing! With the help of IndieWhip, you can have a unique production video that represents your brand, tells your story, and converts leads into sales. For more information about what we do, get in touch with our production video marketing team today! Our talented team is looking forward to creating a marketing video for you.